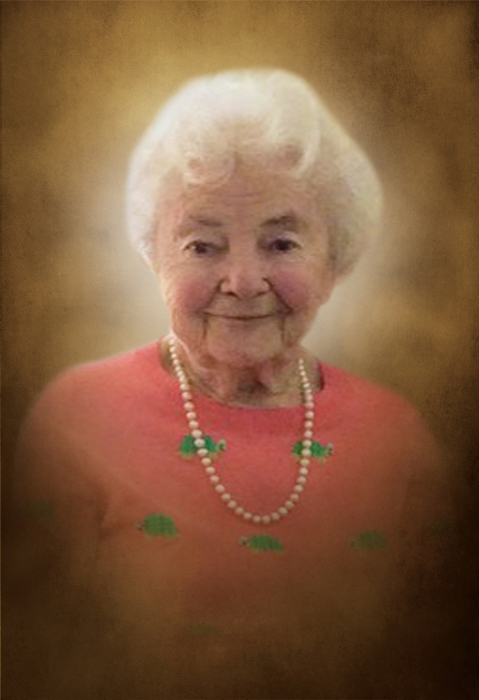 SOUTHBURY - Helen Lewis, 94, departed this life on March 23, 2019. She was the beloved wife of the late John Edward Lewis. Helen was born in New York, NY on February 22, 1925 to the late Charles and Helen (Rusnack) Wira. Helen and her husband raised five children in Mahopac, NY and her children were her pride and joy. Helen moved to Southbury, CT 25 years ago when she was almost 70 years of age and truly loved this adopted, charming town. She literally started a new life and became involved with various activities including the Southbury Training School and Meal on Wheels. She was a lover of nature and enjoyed her hikes and drives through the scenic countryside. She also was passionate with gardening at her Heritage Hills home for which she won several gardening awards. She traveled extensively throughout the years as well and visited 20 European countries - a true adventurer. Helen enjoyed fined food and a well prepared gin and tonic. She enjoyed socializing with friends in a variety of activities that involved card games, bocce ball and bowling. She became and avid reader in later years, loved classic movies and film and missed "Oprah" when her show ended. Her grandchildren brought her great joy during her later years as well. And they brought out her wonderful laugh and smile that could light up a room. Helen is survived by five children: John Lewis of Setauket Long Island, Arleen Campbell of Ridgefield, Kathleen Schindler of Charlotte, NC, Robert Lewis of East Hampton, NY, and Diane Tambola of Redding. She is also survived by eight grandchildren and nine great grandchildren. Interment is in Union Valley Cemetery in Mahopac, NY. The Carpino Funeral Home of Southbury has been entrusted with the arrangements. To leave a message of remembrance, please visit www.CarpinoCares.com.